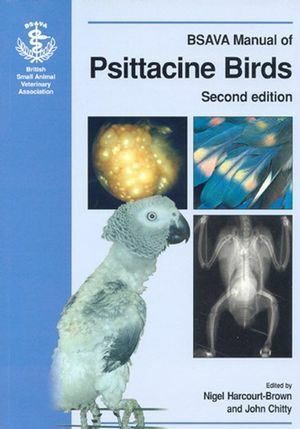 Аннотация: The many advances in psittacine medicine since the previous edition was published in 1996 are reflected in this Manual, which has been updated and rewritten under the direction of a new editorial partnership. The extended use of colour photographs adds to the extra usefulness of this successor to a well loved volume. Clinical examination is presented in a logical, highly practical way, with integrated photographs of key features. The chapter ends with notes on critical and emergency cases. The basic techniques of injection, crop tubing, microchipping, and wing, claw and beak clipping are described and illustrated. The role of clinical pathology is demonstrated, including colour images of haematology and cytology, and a step-by-step post-mortem examination procedure is presented. Diagnostic imaging encompasses radiography, ultrasonography and endoscopy, with views o both normal abd abnormal presentations. Surgical principles plus procedures for both soft and hard tissues are then described. Subsequent chapters cover systemic illnesses and disease by individua organ system. These are designed to be read in their entirety or to be referred to as needed. For general practitioners the most commonly seen psittacine patients are small parrots, Cockateils and Budgerigars. A chapter is therefore devoted to dealing with common problems in these small patients. This practical approach to the sick bird is extended in an appendix of diagnostic algorithms for common presentations such as 'fluffing up', fitting and feather damage. The editors both developed their interests in avian medicine from general practice and this has resulted in a practical, easy-to-use and relevant guide to psittacine medicine.